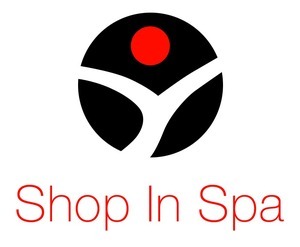 Shop In Spa (SIS) offers privately branded e-commerce stores with real-time transactional capabilities between resorts/spas and the manufacturers that supply them. SIS enables resorts/spas to sell professional-grade products without having to purchase or manage inventory. SIS software is FREE. Shipping is FREE. Resort/Spa payments are automatic. The overwhelming majority of the 31,000 major resorts/spas lack e-commerce capability in this $100 Billion Dollar Market. They are sitting on 25 million opted-in top tier clients. They all want an e-commerce store but have no technology budget, are scared of inventory investment and have no way to pick pack & ship. Three 5 Star resorts are in our Beta. Shop In Spa provides free, privately branded e-commerce web stores that offer real-time, peer-to-peer transactional capabilities between resorts, spas and salons and the manufacturers that supply them. SIS systems can process sales and purchase transactions, and make automatic payment disbursements in 28 countries. Shop In Spa retains 25% of every sale and reorder. Our resorts/spas market their branded stores to millions of their customers. Our customer acquisition cost is virtually nil. We eliminate the costs of carrying inventory for resorts/spas and cut the distributor cost layer for our manufacturers by 90%. Our cloud-based software provides a suite of e-commerce systems, turnkey fulfillment services and customer-acquisition tools that yield long-term residual income for all our partners in this $100 billion dollar market. SIS has forged strong ties with 20+ national and international manufacturers of premier health, beauty and wellness products by providing them with a unique, and low-cost competitive advantage by dramatically cutting their distribution costs. Display and sell top-tier brands with no inventory investment. Make a 25%+ profit directly into their bank accounts. Receive full commissions on every reorder and referral. Provide free drop shipping to their clients. Capture a residual income stream from customer re-orders. Easily acquire new customer referrals from their existing clients and receive full commissions. Virtual elimination of the distributor cost layer. New sales through resorts/spas/salons that would not otherwise stock their products. Capture new customers they would never otherwise acquire. Full wholesale payment with each order. SIS financial systems eliminate the inefficiencies of conventional distribution by introducing two-way transactional software that eliminates to the need to carry on-site inventory for retailers while dramatically reducing distribution costs for our elite manufacturers. SIS is an enterprise-class web portal enabling on-the-fly data tracking and real-time, multiparty financial transactions amongst its resort/spa clients and manufacturing partners. Built using the latest technologies including Microsoft .NET MVC with a SQL server back-end, SIS captures real-time sales data at the point-of-sale for each of its resorts & spas. A custom tailored CRM system along with a robust set of communication tools track every client in perpetuity. Live transactional data is provided in real-time via the client's dashboard and is available anytime, anywhere and on any device. One of the site’s most exciting and powerful features is the seamless integration between its payment gateway and the Automated Clearing House (ACH) banking network. This enables SIS to conduct real-time, two-way financial transactions in more than 28 countries. 20+ exclusive manufacturers from 5 countries currently distribute through our system. Some of our exclusive brands are Oxygenetix, Jade Spa Collection, Ling New York, Swiss Clinical, Dynamis/Meg21, Pure Plant Spa, Sea-Flora and Racinne. Shop In Spa was featured in a VatorNews article: "Splash LA May 2013 Finalist - Shop In Spa "
Shop In Spa was featured in a VatorNews article: "The winner of Vator Splash LA is Stockr!" Shop In Spa was featured in a VatorNews article: "Here are the 10 finalists for Vator Splash LA!"